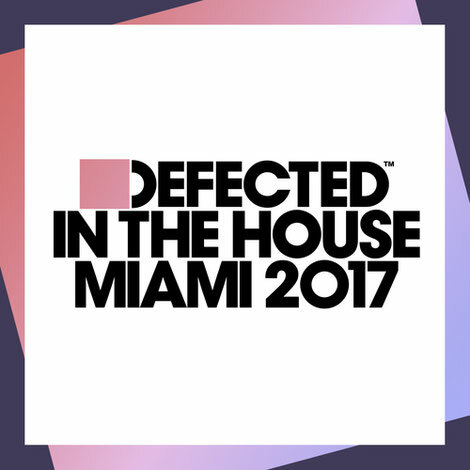 For more than 10 years, ‘Defected In The House Miami’ mix albums have brought together some of the very best in new underground house music, championing up-and-coming talent as well as highlighting material from well-established artists. ‘Defected In The House Miami 2017’ aims to continue its tradition of forecasting those records that will possibly be heard over and over at the Miami Winter Music Conference, and will remain firm fixtures in the crates of tastemaker DJs throughout the summer. Midland’s ‘Final Credits’ and Red Rack’em’s ‘Wonky Bassline Disco Banger’ – here remixed by Eats Everything, Luke Solomon and Lord Leopard – have possibly already established themselves as modern house classics, whilst Franky Rizardo’s ‘Same Man’ and ‘Release Me’ by Memoryman (aka Uovo) & Rogue D are amongst those that could be set to follow in their footsteps. Defected favourites Sonny Fodera and Kings Of Tomorrow join up for a soulful take on the former’s ‘Caught Up’, whilst ‘The Latin Track’ by DFTD newcomer Melé does what it says on the tin. Riva Starr turns in some rolling tech with ‘Is It True’, whilst the deep house of Marie Joly, Black Coffee & Rebecca Murray ‘Gratitude’ (Pablo Fierro Remix) ensures that the album casts a light through the full house spectrum. Spread across two mixes, Defected In The House Miami 2017 is a collection that aims to bring the Florida sunshine, wherever you may be during the WMC. It’s out 3 March 2017.